Jerry Bean is a local Goldsboro, NC artist who is well known for his Goldsboro area-related paintings, as well as paintings of lighthouses and military references, such as planes and helicopters. 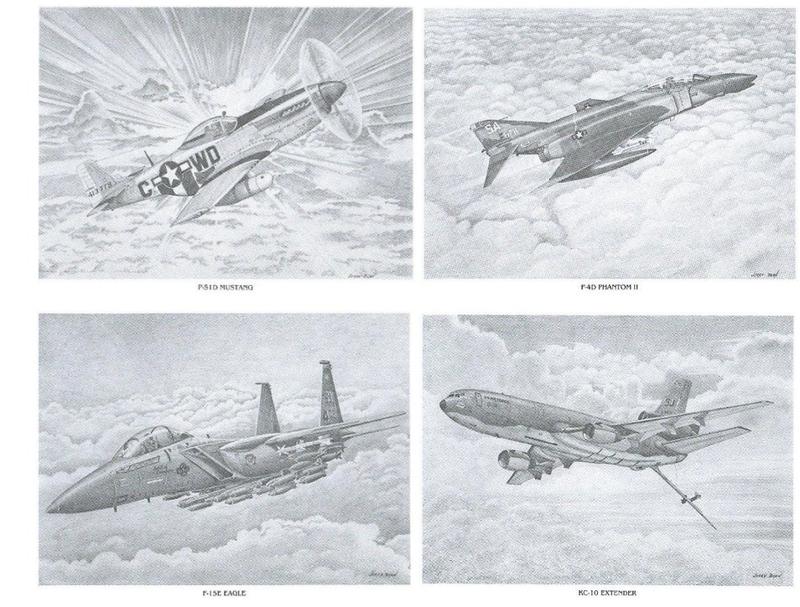 Most of his paintings of planes are those flown by the 4th Fighter Wing and 916th Air Refueling Wing of Seymour Johnson Air Force Base. Jerry also designed the logos for Goldsboro Milling (which have farms that can be found across North Carolina) and drew the artwork for the Duplin (NC) Winery Christmas wine label.